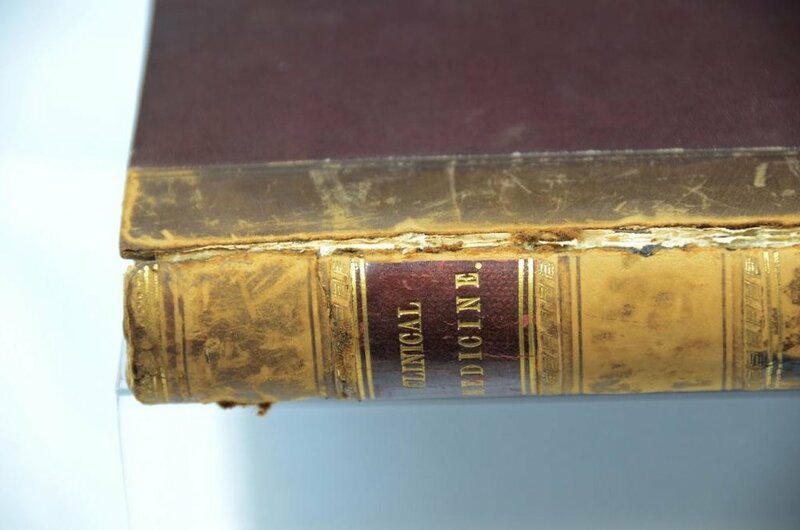 On this page we have included information about a few of the rare books held in the collections of the George Marshall Medical Museum which are in need of conservation work. Conserving these volumes is important so that they can be made available for research. The Museum's rare book collection aims to facilitate research by caring for historical medical books so that they are available to people in Worcestershire and beyond. Your donations will help the George Marshall Medical Museum prolong the lives of these damaged books so they once again can be read, studied and loved. Any contribution, no matter how small, will make a big difference. Check out what happened to a couple of the Museum's books when they went to the Conservator. If you would like to donate a small amount to sponsor one or several of the books below, you will receive free entry to the George Marshall Medical Museum's charged events, including the annual evening of talks. If you fall completely for one of the books you can also choose to adopt the whole book for the full amount. As a thank you for adopting a book, not only will you get free entry to charged events, you will also be fully involved in the conservation process. We will speak to the conservator about how to add acknowledgement of thanks to you in the book itself, and you will receive information about the work carried out. 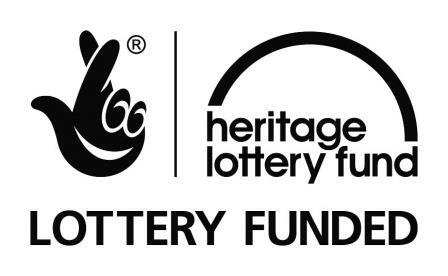 Please contact us to speak about how you might be able to support this scheme. This edition of The New Domestic Medicine was published in 1818 and is ‘Enlarged and improved. Embellished with engravings of many important subjects.’ It contains the original work as well as memoirs of the life of Dr. Buchan and extracts from his other works. "Domestic medicine or a treatise on the prevention and cure of diseases by regimen and simple medicines" was first published in 1769. It was a huge success at the time and was translated into all main European languages. The Empress of Russia was so thrilled to get a copy she sent Buchan a gold medal and personal letter of approval. It sold over 80 000 copies within Buchan’s lifetime. The selling price in 1769 was 6 shillings which would be around £20 today. The Museum's copy of this volume requires hours of specialist conservation work, and it is estimated to cost in the region of £700.00. Balthazar Walter Foster was a physician and liberal politician serving in both the House of Commons and House of Lords. He was MP for Chester 1885-86 then later for Ilkeston 1887-1910. His medical career started with studying medicine at Trinity College, Dublin. He then lectured in anatomy at the Royal College of Surgeons in Ireland and was later demonstrator of Practical Anatomy at Queens College Birmingham where he then became professor and held the position throughout the merger with Sydenham College. He got his MD in 1864 from the University of Erlangen-Nuremberg. Foster later became a doctor at Birmingham General Hospital and in 1873 he was elected a Fellow of the Royal College of Physicians. He published Clinical Medicine in 1874 and the book was presented to the Library of the British Medical Association by Mrs Carpenter of Croydon in 1893. The Museum's copy of this volume requires conservation work which will cost around £250.00. This volume includes over 40 lectures given by Thomas Watson at King’s College, London. Watson was a fellow of the Royal College of Physicians, educated at Cambridge and practiced at Middlesex Hospital. This fourth edition was published in 1857 and interestingly it was donated on its own so we do not hold the first volume in the collection. The lectures cover a huge range of medical conditions and specialties but this volume has particular emphasis on respiratory conditions. To conserve this volume will cost £220.